Designing a Blog. - CarseNoodle :: A Blog About Blogging And Earning Money Online. Home > Blogging > Designing a Blog. 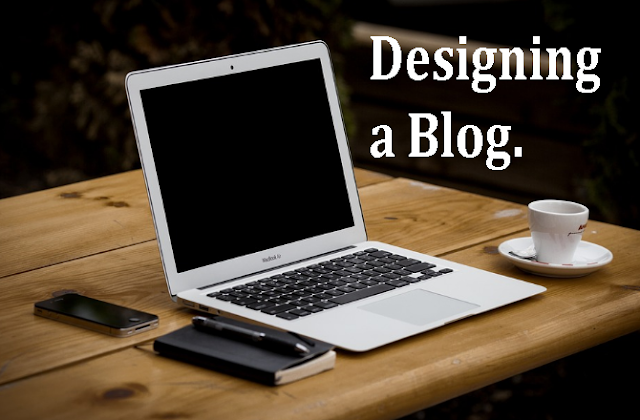 Designing a blog or site is the most important part of a new blog. The advantage is if you already have some designing knowledge. But not having the basic knowledge of designing is terrible, but you have worked hard. You must learn the basic of it. You must know the basic components a blog must have. Internets and technologies made it easy. You don't have to be a technical expert to design a blog. Because blogging platforms made it easy to design a blog for newbies. If you are a person having the designing knowledge and trying to design your new blog, you must know the basic components your blog must have. For the bloggers who don't have the designing knowledge, the best option for them is to use a design made by others. Many designs known as template are available for all blogging platforms. You only have to choose the one that suits your basic needs of the blog. Many of them come with two features, Free and Premium. In the free version, the features of the template are almost same. The only difference is you have to keep a footer credit with a do follow link to the designer. This is not bad, they only take what they deserve. What type of design you should choose. While choosing the blog design the only thing you must notice is easy of use. Keep in mind that your site should easy and clear for the visitor. You created the blog, but for the readers. So make it useful for them. Keep the basic components of what the blog must have, and make it easy to navigate to all areas you blog is covering. Let people find easily what they are searching for. Don't use many widgets and ordinary things that can cause problem finding the main things your blog is providing. Suppose you are using the blog on a very advanced computer, but the visitors may not have such device. Devices vary for all visitors. Thus, choose a template that is responsive for all devices. Keep in mind that people will not change their devices to visit your site. So, it's better to make your blog accessible to their device. And, using different templates for all devices is like a nightmare. So, use a single template that is responsive for all possible devices and easy to use with all devices. Your blog design plays a very important role in search engine optimization. As the rate of mobile users is increasing, New Google Search engine optimization policy is to first index the mobile version of your blog. So, if google crawler finds that your site is effectively optimized for mobile version then your site may not get indexed by Google. These things you should remember if you are designing your site yourself. The best way I recommend you is to choose a design that is beautifully designed and SEO friendly. If you don't like to give credit to the designer you can remove the footer credit with a small one time fees for their hard work. If you completed all the previous steps and designing of the blog, then you are almost done. Your blog is online now. Now you have to work on the contents of the blog and traffics.